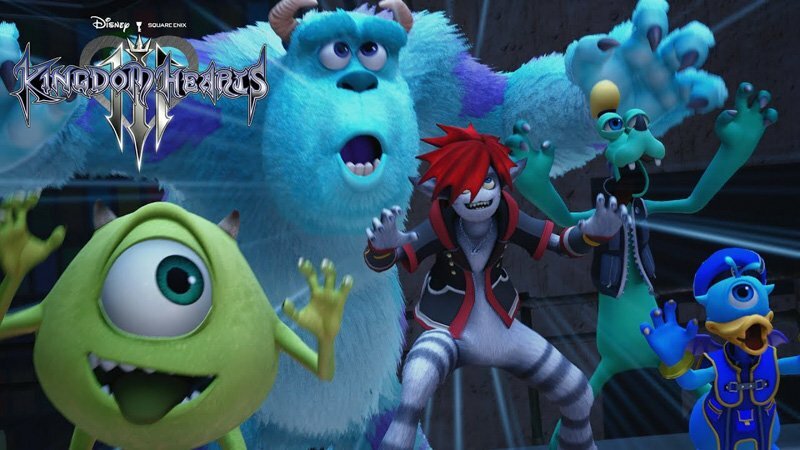 At D23 Expo Japan, Square Enix unveiled a new Kingdom Hearts III trailer which reveals Monsters, Inc. world! The trailer shows Sora, Donald, and Goofy’s monster forms, powerful new Keyblade attacks, and the return of past friends and foes. Also revealed was international superstar Utada Hikaru‘s brand new Kingdom Hearts III theme song, titled “Don’t Think Twice.” You can check out both videos below! Set after the events of Kingdom Hearts 3D: Dream Drop Distance, returning protagonist Sora is joined by Donald Duck, Goofy, King Mickey and Riku in their search for the seven Guardians of Light and the Key to Return Hearts as they attempt to thwart Master Xehanort’s plan to bring about a second Keyblade War. Previous worlds announced include the Tangled-themed Kingdom of Corona, the Big Hero 6-themed San Fransokyo, and Toy Story. Previously, the game’s co-director and designer Tai Yasue revealed that nothing from from Disney’s wheelhouse (including Marvel and Star Wars) was off limits for the game. Kingdom Hearts III will be available for the PlayStation 4 and Xbox One in 2018.